TECOI, the advanced plate processing systems manufacturer will be exhibiting at the new edition of the BIEMH 2018 in Bilbao from May, 30th to June, 1st with the most comprehensive catalogue in the market and the most up to date cutting and metal plate forming technology. Visit our stand and check out the latest news in laser technology, plasma, oxy-fuel and plate machining,exclusive from TECOI. The innovations presented at BIEMH 2018 will enable the client to perform tasks easier and more efficiently. Developed for fiber laser cutting for large formats. It is designed for extensive use where keeping maximum accuracy and repetitiveness is requested. With cutting powers up to 16.000w, TWIN DISK doubled head cutting system and CAP continuous feeding system allowing productivity to increase considerably as well as reducing time of stoppages. 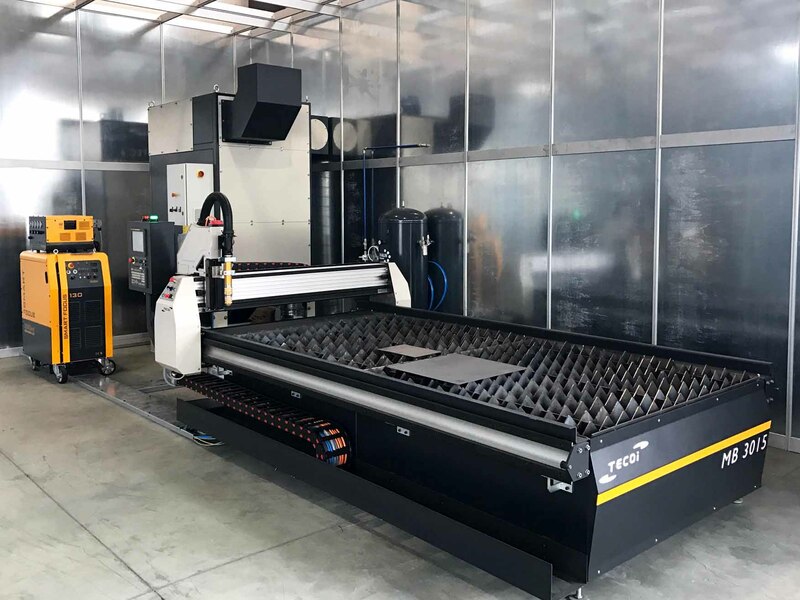 The ultra-advanced DFP® technology, patented by TECOI is incorporated: innovative device with automatic fiber changing system that allows having two different optical configurations in one single head, enabling to cut thin and thick plates with a single system without changing configuration. This way, the time of manipulating the change of the lens is saved, as both optical configurations are automatically selected. Due to its characteristics, provides high quality in processed pieces, not only in the treatment of thin plates, but also in thick plates. Due to its intelligent and ergonomic design, this extremely compact machine can be used as working station at any plant. The high speed and acceleration values allow to achieve high production, which combined to its adjusted investment, enables to obtain very low productive costs.